The Hollywood studios have finally taken their pound of flesh from RealNetworks, with news that the software makers have been slapped with a $4.5 million settlement fee for the case against its DVD backup software, RealDVD. 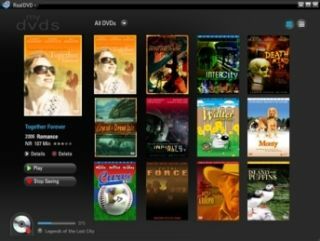 RealDVD was launched to moderate fanfare back in late 2008, with Real Networks claiming that it was the first software to legally allow you to rip Hollywood DVDs on to your PC hard drive. A swift lawsuit from a number of Hollywood distributors ensued debunking the claims, causing the software to be pulled from retailers' shelves. This has culminated is the news is that Real Networks has decided to end the fracas with a multi-million dollar settlement. Alongside this it will also reimburse those who forked out for the software. "We are pleased to put this litigation behind us," said RealNetworks in a statement. "This is another step toward fulfilling our commitment to simplify our company and focus on our core businesses. "Until this dispute, Real had always enjoyed a productive working relationship with Hollywood. "With this litigation resolved, I hope that in the future we can find mutually beneficial ways to use Real technology to bring Hollywood's great work to consumers." We're not entirely sure what kind of relationship Real Networks now has with the studios, but it does put into question just where the company would go from here. If the RealDVD software did turn out to do what it said on the tin, then Real would have something that is a viable prospect for those migrating to the digital age. The company does still have strong ties with phone manufacturers for its video platform and it announced back in October it is once again profitable. But the $1.5 million profit made last year has just been eaten up by the settlement and the company's technology is increasingly being squeezed out of the web market by Flash. At least it tried to show Hollywood that crippling DRM and encryption weren't the way forward for movies in the home. It's just a shame that the collective movie world didn't seem to agree.